Urad dhal - 1/2 tsp. Sambhar powder - 1/2 tsp. Heat oil in a pan, temper with mustard seeds, urad dhal and when they turn golden brown, add the jeera (cumin seeds), chillies and curry leaves. Give a quick saute without burning and immediately add the chopped papaya and carrot. Mix well and add salt and sambhar powder. Saute well till all the ingredients mix well uniformly, sprinkle little water and cook covered until done. Finally add coconut scrapings and mix well. Serve hot with rice, phulkas and pooris. 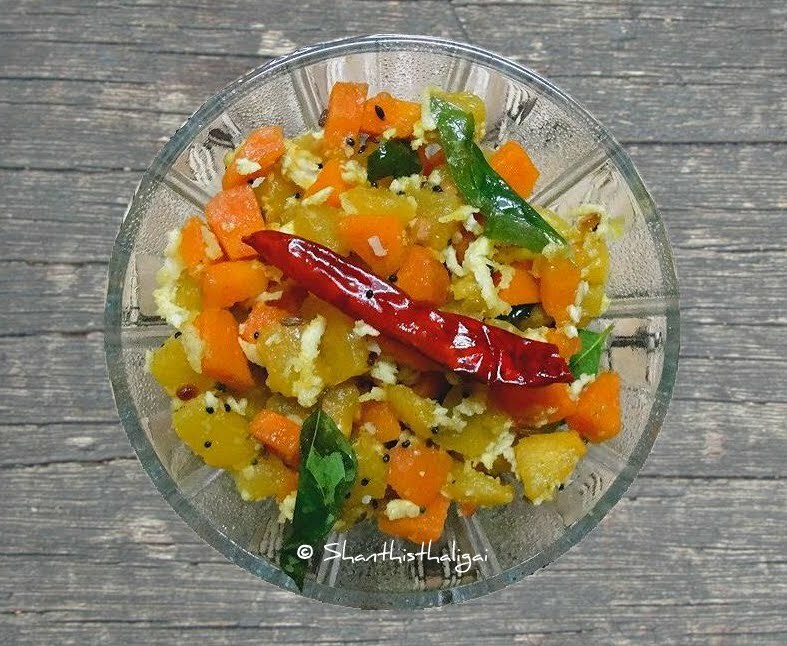 This curry goes well as a side dish with South Indian thali.